Last week I started a new series I'm calling "Now & Then," where we take a look at product packaging and the ads for things sold in the '50s and '60s that are still around today. Last week was Kraft French Dressing, and this week, as you might have guessed, is Jet-Dry. 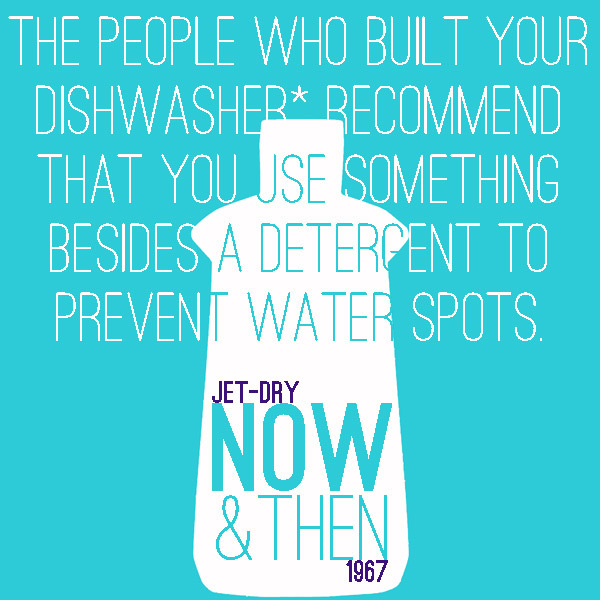 The text in the image above was the intro to the Jet-Dry ad you see below, snatched from the April 1967 issue of Better Homes & Gardens, right next to a recipe for Leek Lorraine (yum!). I have to say (no surprise) that I'm a fan of the 1967 packaging. Really simple and mod, and using one of my favorite colors in the whole world. It's always so interesting to see these products next to what is considered "modern" design today. The one on the left just seems so flashy, don't you think? Like there is just way too much going on? I also fell in love with the typography (the one in the teal color) from the ad, and remembered that I have this awesome app on my iPhone called What The Font, by My Fonts. Have you heard of it? You take a picture of the word, then fill out which letter corresponds to which character, and it searches its library to find similar fonts. You can also use this tool online by uploading an image or plugging in a URL. I've been looking up tons from these vintage magazines and have a great little collection going for the next time I start tweaking my blog and website design (which will probably be soon...I always get that itch every four months or so). So what say you? 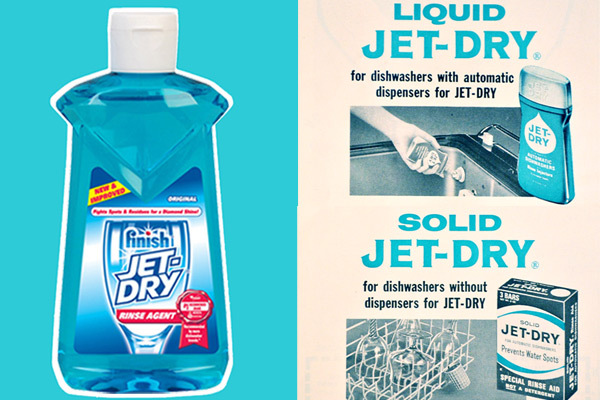 Are you a fan of Jet-Dry now, or then? what a GREAT idea for blog posts! love it! Ditto... loving this! "What the Font" is a new one, I'll have to check it out. Thanks! Thanks, Elizabeth (nice name!). You definitely should get that app...so much fun!